Now this is a phrase we’ve heard many well-meaning parents say to children in an attempt to improve their nutrition. 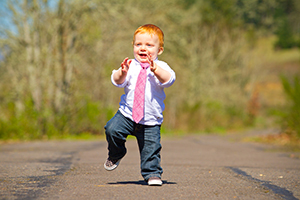 Toddler overriding their fullness signals and overeating, just eating to get to the ice cream. We’ve named this section reward with foods, but it covers the times when food is used for other purposes such as to comfort, to get toddler to do something or as a diversion. All of which have negative results for our children’s feeding and contribute to feeding problems now and in the future. 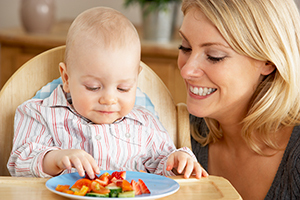 Learning to use food for emotional reasons can start now. You know adults who have trouble with foods because they’re ’emotional eaters’? Well this is where it starts. Toddlers can be like planes flying around with no pilots, they’re hard to please, they get upset easily and can be hard work. This means that we’re at risk of using food for other reasons and helping our children become emotional eaters. 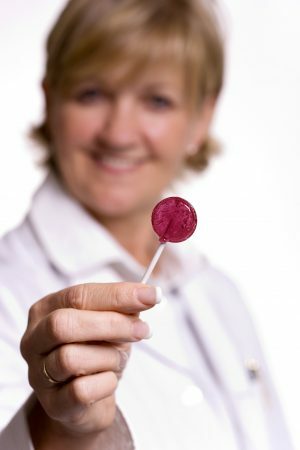 Sweet foods are something we are programmed to like from birth and this preference stays with us. Parents can realise they have something that is pretty much guaranteed to please their young one. They may then use it as a bargaining tool to achieve a number of things that can make life easier in the short term. As we find out very soon, providing sweet treats to our children appears to bring them happiness and that’s pretty much guaranteed. It’s quite understandable that after all our hard work we might enjoy the appearance of increased connection and positive feedback. This isn’t just something parents do, it could come from grandparents, other family, other parents, sports coaches and doctors. Before you know it there are many rewards coming thick and fast and starts to become normal and expected, then somewhere amongst this…. the toddlers diet deteriorates. Or just for some peace and quiet: a lot of parents resort to food handouts for a moment’s peace but at what cost? What about when they are hurt or upset? OMG she’s broken her block tower, I’ll get an ice block to chill her out. If we jump to using food for any old type of upset or distress it will soon become the child’s fall back. Children have to get used to dealing with their emotions. They have to get over their sadness, their upset, their boredom. They need to be able to tolerate and address these feelings and stress as a part of life, without it triggering eating. If food rewards are common in your child’s diet they’ll become desired more and overeaten when they’re available. Non-reward foods will be liked less. So you guessed it, the child’s preferences will become less and less healthy. The food preferences that are gained now will follow us into the future and will determine our chances of maintaining a healthy weight and the development of lifestyle diseases such as diabetes and heart disease. 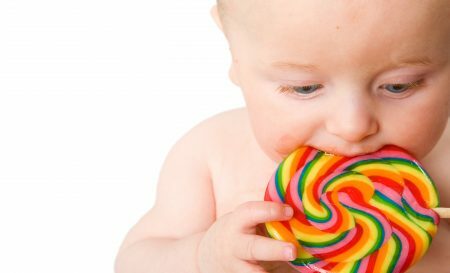 When children are used to being provided high sugar, high fat foods whenever they’re faced with physical or emotional pain, they can become reliant on treats to help them regulate their emotions. 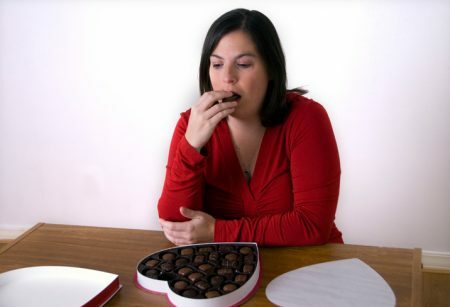 “I’m an emotional eater” Have you heard this before? Have you said it yourself? This is overeating caused by emotion. This is when adult’s deal with emotion by eating high fat, high sugar foods. 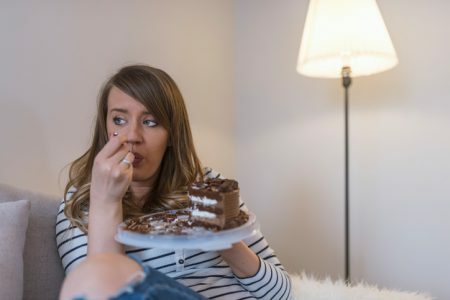 It’s very common for Dietitians to work with clients to manage this vicious cycle of emotional eating in order to address overweight and obesity. You’re not helping! Not with feeding anyway! When they’re upset use this as a learning opportunity, for them to deal with emotions and build resilience without food. How you deal with your child’s upsets now can influence how they deal with their emotions later in life. Stick to meal times. If it’s not the time for a meal do not feed: see meals for more information. If you are going to places where they always give out food rewards for good boys and girls then try and avoid them. Once they’ve been offered the food it’s very difficult then to say no they can’t have it – click here to read more about overt restriction. I have used the word Nan here but you can insert any number of other people here. Childcare worker, teacher, grandfather, uncle, doctor, swimming teacher. It’s not just you that will use food to reward, other people think it’s a way to connect and be popular. You have the right to say something. Before you go off and call us a bunch of Grinch’s we have to clear something up. There are times in our culture and most others where food is used in celebration. Christmas, birthdays you name it, we’ll celebrate with lots of favourite, sweet foods. It’s a case of making sure that food at these occasions doesn’t end up becoming the norm and happening all the time.